One of a kind item! 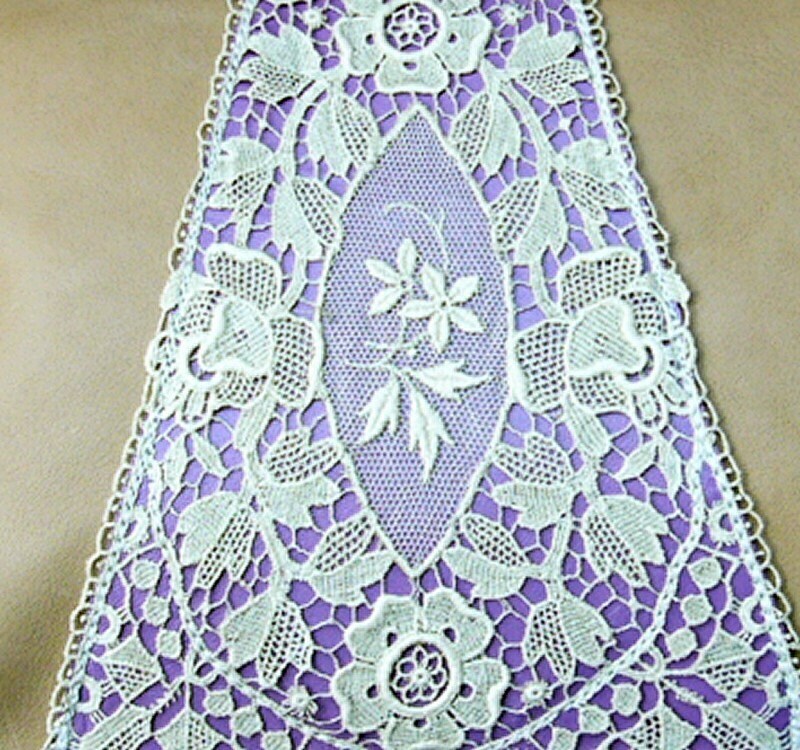 A triangular vintage Edwardian cotton lace panel is stitched onto lavender leather to highlight the floral design. 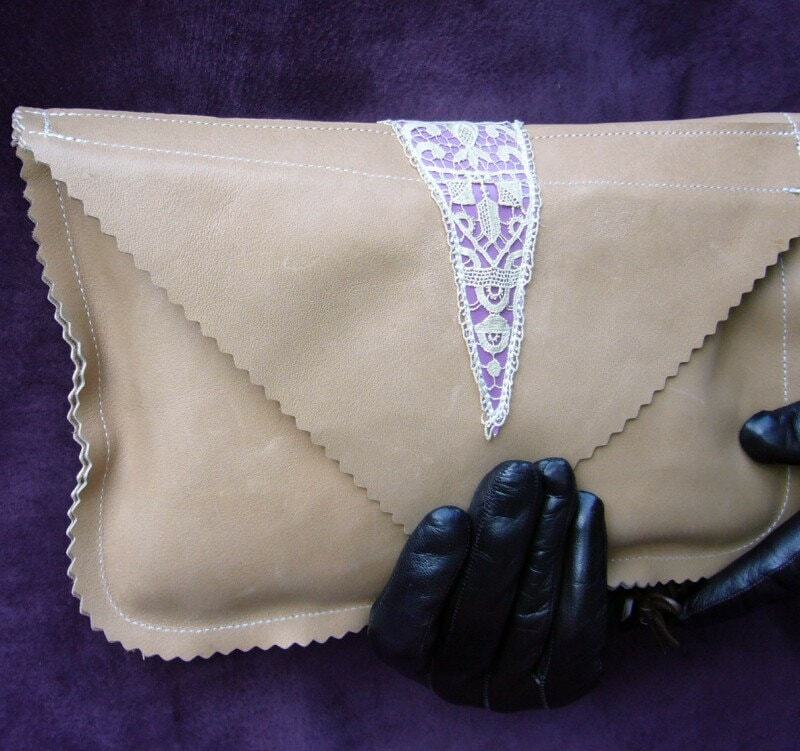 This is then sewn to soft buff leather which forms a small clutch. 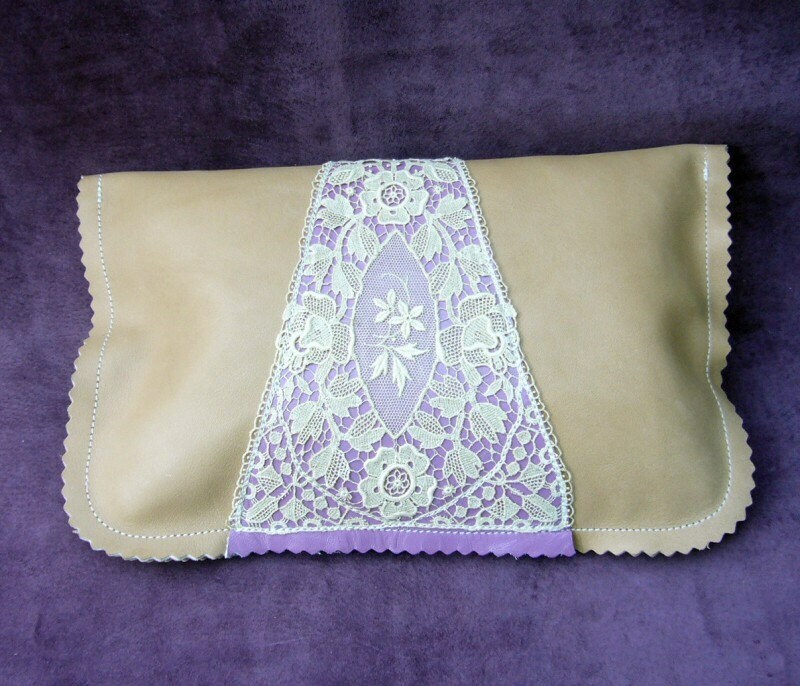 The clutch is 11 1/2" wide and 7 1/2" high when closed. The effective interior dimensions are 10 1/2" and 6 1/2". The edges are cut in a fun "wave" edge. 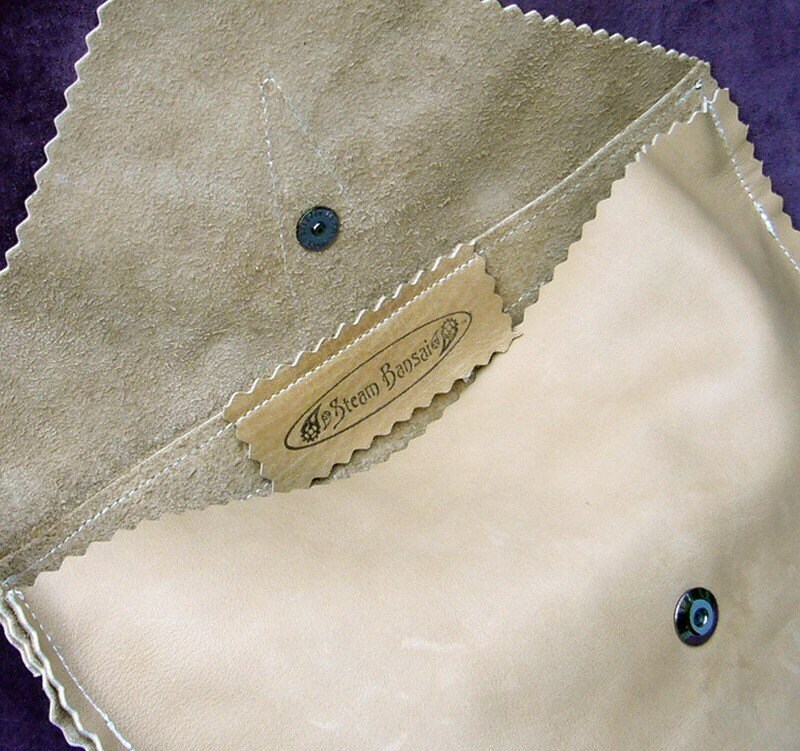 The soft leather is left unlined, and a low profile gun metal magnetic snap closure helps keep the flap in place when needed. I had a total of 4 of these panels, one used on a satchel and a couple more panels left, so if you like this design, but have a special color request or size, please convo me!